There are three major placename tours in which SXTA Outreach Staff are involved. These include the Upriver Tour, the Downriver Tour, and the Chilliwack River Tour, all hosted by Naxaxalhts’i (Sonny McHalsie). 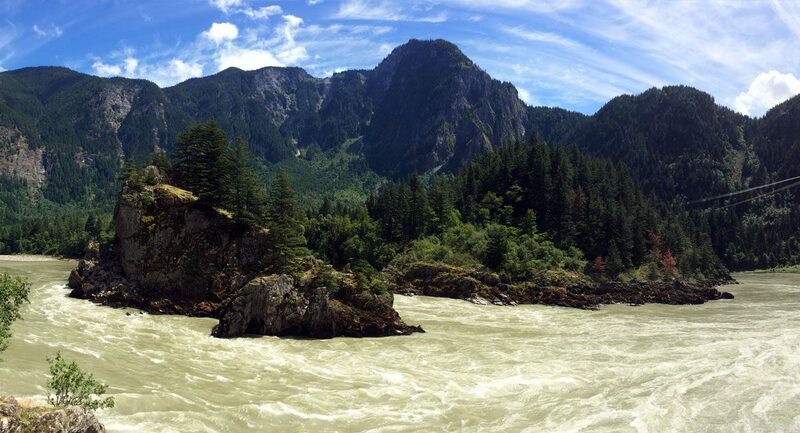 The placenames tours are tours that take you through the different areas of the Fraser Watershed and Chilliwack River to explore areas of cultural significance to our people. The placenames are significant because they remain in our current knowledge and news (Sqwelqwel) from our ancient times and stories (Sxwōxwiyá:m). 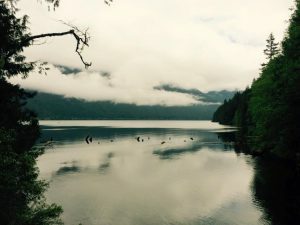 The tour starts at Kwikw’alith’a and we will go through local First Nations areas (Skowkale, Yakweakwioose, and Tzeachten) and our first stop will be at Cultus Lake, then back through Yarrow River Organization Dyke to McDonald Park near Sumas. 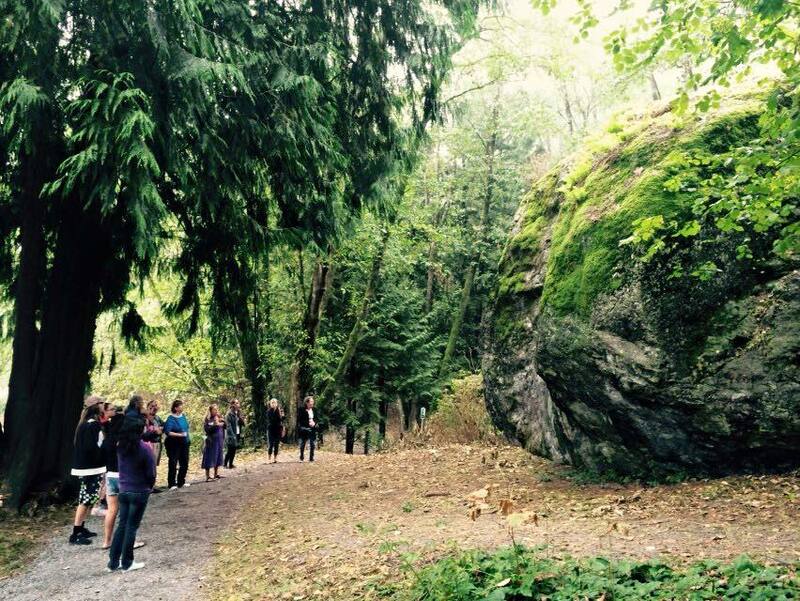 Then we head to the Big Rock “Méqsel” (“nose” pictured above) in Aldergrove Park and then onto Mission, B.C. We will drive by St. Mary’s (Peqwxe:yles) and then stop at Xá:ytem for a brief tour. We stop for lunch at the Leq’á:mél First Nation gym. Then over to Harrison and take a short walk to the hot springs. We head back through Agassiz and return to Kwikw’alith’a (Coqualeetza) around 4pm. This tour starts from Kwikw’alith’aand we will get right onto the highway heading east to Hope B.C. From Hope to Kawkawa Lake, and then Kw’ikw’iyá:la(Coquihalla) River. 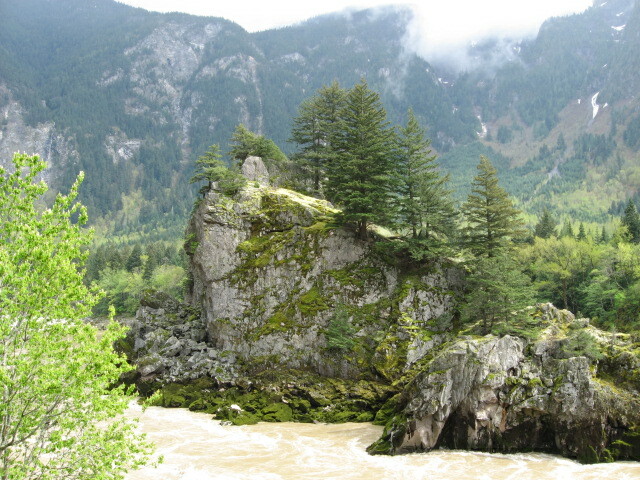 Off “from to Organization upriver”) the Telte-Yet Campsite (Tel tít to – meaning view the remains of a sqemel, “pithouse”, then north to Yale on the Trans- Canada Highway #1. We stop for lunch at the Chawathil First Nation. Then across the Canadian Pacific Railway crossing to the old Caribou Wagon Road to Lady Franklin Rock. We return to the Trans Canada Highway #1 then north to the Slahal Players turned to stone just south of Spuzzum Creek and then to the turn around about 2 kilometers north of the Sailor Bar Tunnel to return to Kwikw’alith’a (Coqualeetza) around 4:00 pm. 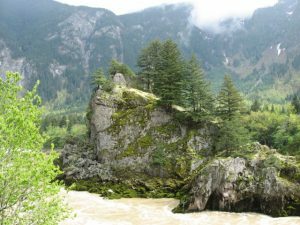 The tour starts from Kwikw’alith’a and we will go throughout Chilliwack following the Chilliwack River and its creeks and sloughs. We will travel through Skowkale and Tzeachten with a stop at Tim Horton’s, then on to Vedder Road and turn off at Chilliwack Lake Road. A brief stop at Tamihi Creek. We will then stop for a scenic hike and a picnic lunch at Chilliwack Lake. On the way back we make a couple of stops: first a short hike to the Chipmunk Caves near Ford Mountain Correctional Centre and then to Allison Pools. Then back to Kwikw’alith’a (Coqualeetza) around 4:00 pm. 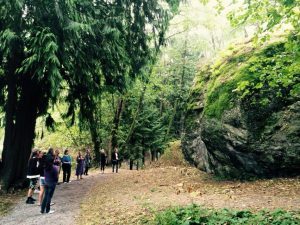 If you are interested in booking a placenames tour, please contact Emily Kelly at emily.kelly@stolonation.bc.ca. If you are interested in other tours Naxaxalhts’i offers, please contact him at 1-800-565-6004.